Hundreds of workers are on strike at a factory in southern China that supplies Japanese retailer Uniqlo. Roughly 900 workers have been on strike since June 8 at Shenzhen Artigas Clothing & Leather over worries that the factory will be shut down, according to Hong Kong-based labor rights organization Students and Scholars Against Corporate Misbehaviour (SACOM). The workers discovered earlier this month that some production equipment had been moved to another factory, said SACOM's Alexandra Chen. "They started to worry about the relocation and compensation, because most of them are close to retirement age ... but unfortunately, the factory didn't show much interest to talk to them." The strike is the latest example of growing labor unrest in China, a major manufacturing hub that produces all sorts of consumer goods -- from tablets to t-shirts. As labor costs have risen, companies have started to see their profits shrink. In some cases, companies like Apple have also come under fire for poor working conditions at supplier factories. Some striking Artigas workers have been arrested by local police, while others are sleeping at the factory in hopes they can prevent more production equipment from being removed, said Chen, whose organization has been investigating the supply chain of Uniqlo parent company Fast Retailing. Workers also went on strike last December, saying the company had failed to contribute enough funds to a government-mandated social security plan. Fast Retailing (FRCOF) confirmed Wednesday that Artigas was one of its suppliers. The company is "concerned by the reported strike and is looking into it," according to a statement. 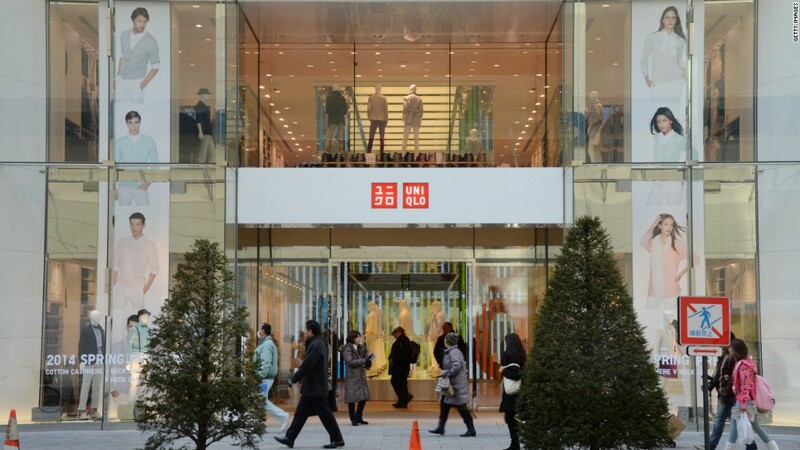 "Fast Retailing has requested that management of the owner company, Lever Style, undertake thorough discussions with its workers, for a peaceful resolution." Fast Retailing spokesman Aldo Liguori declined to comment on specific details. Company shares were flat Wednesday in Tokyo. The Artigas factory is managed by Hong Kong-based Lever Style, which also produces garments for brands including Armani and Ralph Lauren. Lever Style said in a statement that the decision to relocate and the way it was done met "all local and national Government legal requirements." "Lever Style is disappointed that this group of workers have decided to take this course of action in response to a decision which will optimize the company's operations in China," the company said. Artigas management couldn't be reached for comment.